Our Menu - featuring solar-powered pizza! At Bounce Milwaukee, our focus on bringing you and your family the best possible experience includes fresh, healthy, locally-sourced food. We do not deep fry any of our foods, we offer vegan and gluten-free options and we can accommodate your special requests, from allergies and sensitivities to your strangest craving. We make nearly everything to order - from coffee to pizza to cookies! - instead of pulling it from a heat lamp. That's what we want for our family, and that's what we'll give to yours. Because we care about the environment, all food deliveries are brought to you (for free) in 100% electric, solar-powered, zero-emission vehicles. Because we care about our employees, we do not pay a sub-minimum wage and they do not need to purchase, insure or or maintain their own vehicles. 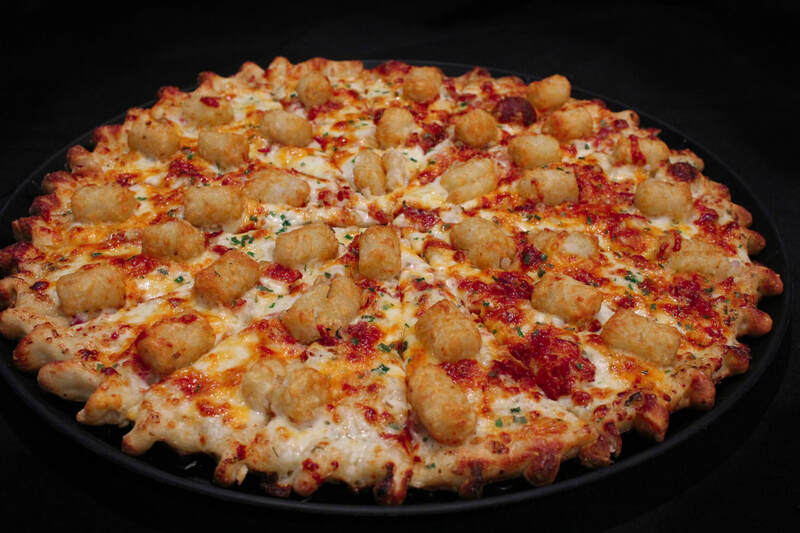 You want a tot pizza; you just don't know it yet. Catering a large event? Click here for $20 off your first order of $100 or more! Want to explore our beer selection (and see our seasonal and special beers? Just look below! See our in-store signage for craft cocktail menus and specials. Pssst... we have a secret menu, too. Click here!